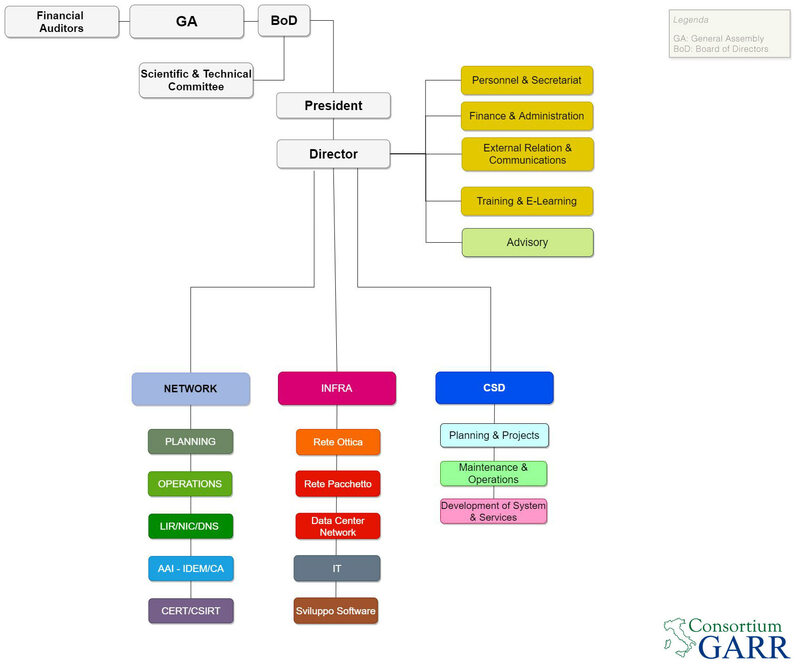 In addition to the network infrastructure, GARR operates a computing and storage infrastructure, on top of which the GARR Cloud Platform is developed. Through this platform, the research and education community can access on-demand, shared and flexible resources, thus reducing infrastructure costs without any loss of security and data confidentiality, and with the guarantee that their data are hosted within national borders. The key benefits are ease of use, scalability and cost-effectiveness. The GARR Cloud Platform currently provides three types of service: Virtual Machines, Virtual Datacentres and PaaS cloud applications. GARR is also working on the deployment of an innovative Container platform. Security policies that can be customized to the level of single users and resources. Thanks to its cloud architecture and to the total control of the underlying optical network architecture, GARR can tackle security and throughput issues in an optimal manner. In addition, at the infrastructure level GARR implements segregation between the different networks dedicated to the management of physical equipment, servers, and services. Network traffic segregation is also ensured at the user level. wide catalogue of plug-and-play cloud applications. the integration with other clouds, both public and private.